I made it to Australia! Everything went amazingly smooth. So smooth, in fact, that I keep waiting for something major to happen. The big news is that I didn’t forget or lose anything! Well, I’m pretty sure I didn’t. I double checked my own gear list before I left and made sure everything was with me. It took three flights to get here, with lots of walking from one checkpoint to another providing ample opportunity to leave or drop something. I was super paranoid and checked and rechecked each time I moved. I’ve never flown so much at once and wonder if there is a longer flight in the world than the one I took, which is 13hrs 50min from LA to Brisbane. I had 2-3hr layovers and 3hr flights on either end of that coming from Portland and then finally ending in Alice Springs. Don’t even ask me what time my body thinks it is. Portland is 17hrs behind, so when it is noon here, it is 7pm the day before in Portland. So I’ve traveled in time to the future! This day before/after thing is really weird. My birthday is in November and I’ve decided I get to celebrate both days. The flight from LA was especially odd because the flight was westbound and basically chasing after the setting sun. It was dark all but two hours of the flight. I was told by the check-in agent that the flight was full, and when I got on the plane, there were still some empty spots here and there. I totally lucked out and I was the only one on the plane with no one else in the row. I got my own personal couch and laid down or had my feet up the whole time! I’m forever ruined on any long flight like that again. Anything but fully laying across all three seats will feel like torture from here on. I slept, or tried to sleep, most the flight. I did watch one movie, “Me Before You.” Yes, schmaltzy, but a good reminder of how everything can change in an instant, and to live each day to its fullest. I actually had someone ask me recently, in regards to all the back-to-back hiking this year, if I knew of some time meter that was going to expire and if that’s why I was squeezing so much in? Well, I kind of do feel that way. I really feel like I’m extremely fortunate that so much has aligned for such a prolonged period of time to allow all this travel and hiking over the last handful of years. I do feel like it could disappear in an instant and I want to know I did as much as I could while I could. Why not now? The view was all clouds until the plane dropped down to land. The land on the right is my first glimpse of Australia! People always ask about luggage and how to handle backpacking gear on flights. I like to keep as much of it with me as possible that security won’t take. Only once have I had hiking poles taken (in Canada). I had a good sized disposable duffel bag from Good Will that Buck-30 picked up when he left Canada and passed along to me. In it, I put my food for the Larapinta, three pairs of hiking shoes for the next 7 months, a bunch of socks, random toiletries for bounce boxes, and a bunch of Sawyer sunscreen. I reluctantly didn’t pack my Mountain House dinners and my tuna foil packets for lunch. I heard things with meat may be taken. They didn’t even look at what I had and I totally could have brought them. Neither one were to be found in Alice Springs either. Dang, that means a full week of peanut butter and cheese tortillas. I have such a hard time swallowing peanut butter in great quantities on the trail. The only hiccup of the day happened when I got to Brisbane. I knew I wanted to get an Australian SIM card for my phone once I got to Alice Springs, but there happened to be a kiosk right at the airport in Brisbane. The timing was perfect and I was able to walk right up and get an awesome deal of just $35/$28US for a month of pretty much unlimited everything (except texting the US). I immediately called my sister (from the future) all the way in the US to celebrate the great deal (we love phone deals!) and easily did stuff online before my next flight left. While my flight was boarding, I was still in shock of such a good deal as it was much better than what I researched…then it hit me…I got the SIM card through Vodafone and I was supposed to get it with Telstra! Vodafone was the best one for New Zealand and that’s why I immediately saw it and thought it was right. I asked the person sitting next to me on the plane to Alice Springs. Yep, in Australia, Telstra is the way to go. Especially, in the more remote spaces I’ll be going to. The Vodafone deal gave me such unlimited range because I won’t even be able to get the reception to use it where I’m headed, ugh. When I got to Alice Springs, I did get the Telstra SIM card ($40/$32US), so I guess I have both. It would have driven me nuts to have crappy service and know I could have done better. Ok, so here’s the plan for the next week and a half. I’ve done a nifty little diagram here to show what will hopefully happen. Australia is HUGE and there is no way I could do it all in one trip. I found some of the top long hikes that were recommended to me that fit this 1.5 month timeframe I have before the Te Araroa in New Zealand. In the center of Australia, in the middle of nowhere is a big rock. Yup, a big rock. Not much backpacking, but a big rock called Uluru or Ayers Rock. I am kidding, and it is more than a rock. It’s significant enough for me to want to add it on while I was nearby for the Larapinta. I’ve never done a formal overnight tour for any sightseeing like that, and renting a car was pricey, so I went with a tour bus that, not only will guide me through some beautiful and historical sites, but it also gets me a bit closer to the start of the Larapinta. A two day guided tour to see awesome landscapes for the same price of renting my own car or hiring a shuttle? Um, yes please! Map of Alice Springs, Uluru-Kata Tjuta National Park, Kings Canyon, and Larapinta Trail in Central Australia. Click to expand. I have to say I didn’t come up with this on my own. Buck-30, who I just did the Wonderland Trail with, did a ton of travel in NZ and AUS a few years ago. He did similar tour and planted this seed. You can see in the diagram that the Larapinta runs east/west along the MacDonnell Range. The eastern end of it is in Alice Springs. Scenically, it is better to hike westbound, but then you are stranded at the end of your hike in the middle of nowhere on a remote 4WD road on aboriginal land that drivers need permits to use. You can hitch to the west end to Alice Springs (Buck-30 did this) if you buffer time, or there is also a $300 shuttle out there from Alice Springs (they will also cache food along the way for more). 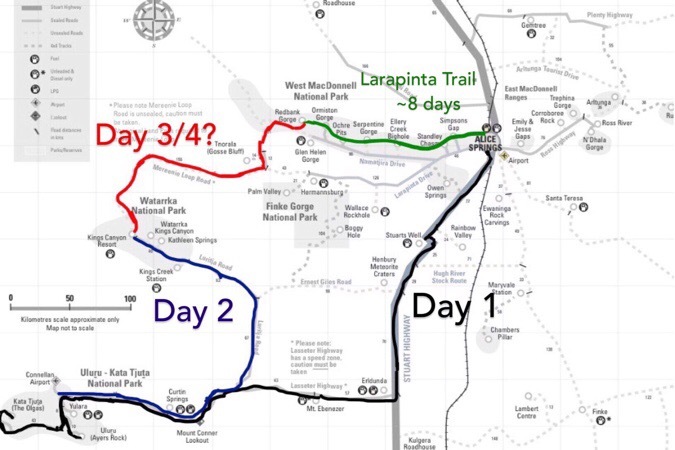 I found a tour that got me to Kings Canyon, west of the western terminus of the Larapinta. My goal is to jump off the tour a half day early and hope to find a hitch to Rebank Gorge to start the Larapinta the next day. Very early tomorrow morning, I will be picked up at the hostel I’m at by the Emu Run Experience bus tour. You can see where each day will take the group. I thought I had the perfect plan until someone at the Kings Canyon Resort recently told me that it’s illegal to hitch or walk that particular section of road I was looking to hitch because it is aboriginal land. It is a popular loop done by tourists that rent vehicles to do the Mereenie Loop on that rugged road. This would have been nice to know the first time I called the resort months ago and mentioned my plans! Well, I’m stuck with the itinerary now and I’m just going to go and see what happens. I was told that it is legal to ask people at the campground, so maybe I’ll get lucky. At the worst, if I’m not feeling good with my chances, I’ll head back towards Alice Springs with the tour bus (which oddly ends at Uluru again that second night) and get a hitch the rest of the way to Alice Springs on the busier highway, and then hitch out from Alice Springs. Whew! So glad I made that diagram! 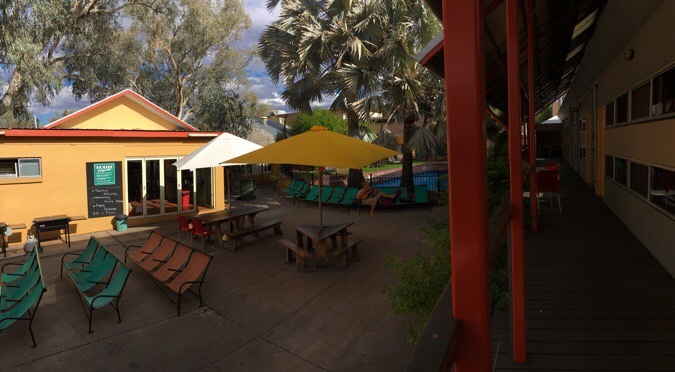 Here are some shots from Alice Springs. It’s kinda rundown. 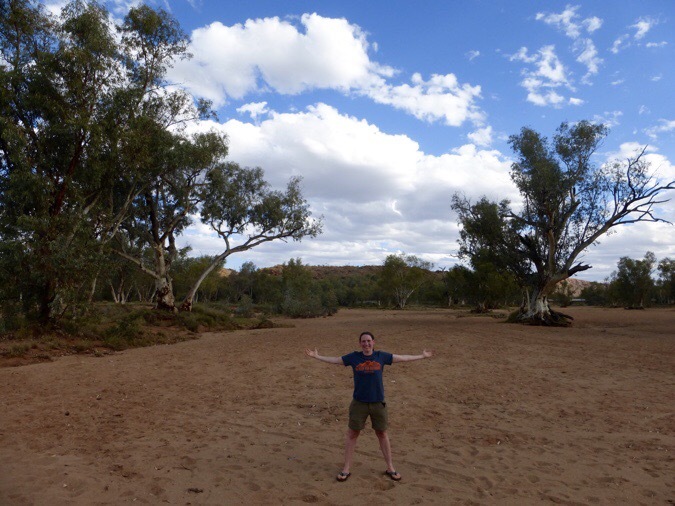 Here I am standing in the middle of the Todd River, which is labeled as a major blue river on all maps, but is actually a sandy wash that runs with water maybe a couple times a year. Standing in the Todd River with the MacDonnell Range I’ll be hiking in behind me. There are a lot of forward Aboriginal Homeless everywhere. It was actually quite creepy even taking that photo in the river. Broken glass, tires, and random trash was everywhere in the sand. Homeless were wandering all through the paths and in the trees. That photo is right across the street from the hostel. Many people told me that Alice Springs gave them the creeps, but didn’t describe why. It is uncomfortable because there is obviously some kind of racial divide in class going on. Sunday market kind of event in the main center of town. So far, twice today a homeless person has come into the hostel’s courtyard, somehow sneaking in the security doors and gates that surround the whole place. One walked right up to a guy next to me demanding a cigarette and wouldn’t leave until the guy gave it to him. Another woman was on something or mentally ill and was trying to say she was staying in a room here. Both were quite blunt and forceful about it with no humility. As I walked down the street many homeless would intimidatingly stare straight into my face with an angry look and dominate the sidewalk three abreast. There are lots of homeless where I live in Portland, but they aren’t this angry and assertive. Walking down the street, there were also a lot of young teens and preteens just acting immature, loud, and inappropriate and that also made the environment uncomfortable. The hostel is spacious and chill. I’ll return here after my hike. There are a lot of much younger international people here from all over the world. I’m currently next to three Germans talking up a storm and it’s entertaining. I am in a room that has two bunk beds, but I’m with just one other girl that’s here for 3wks from Italy doing a door to door sales job to fulfill a visa requirement so she can return to the farming job in another part of Australia she really likes. I have no idea what all these other kids are doing here or where they were all day today. They weren’t walking around town. Ok, I’m going to try to get to bed by 9pm. The tour bus arrives at 6am tomorrow! We’re in Australia everybody!!! Welcome to Oz Erin. Lucky you with 3 seats to yourself on the flight. My head is spinning from just reading all the ins and outs of your transportation. I trust that it will all pan out smoothly for you. Stay safe as you enjoy outback Australia. Awesome you’ve arrived. So excited to see your first blog. Loved that you called your sister from the future and that you’ll get to celebrate your birthday both days. ? Looking forward to following your journey. I keep thinking I’ll see Marty McFly! Sending a message to the future! (chuckle) 🙂 Just two days for your b-day?.. I thought it was supposed to be a birthday week! Loved the diagram. Looking forward to reading along as always and learning a few things along the way. Good point…a week it is! My mind is boggled reading about your planned hike and connections which may or may not happen! Will be anxiously awaiting your blogs and pictures. Good luck!! And two sim cards on the day you get there – I see why you are called Wired! Wahoo! We are in Australia. Hope you have a fun & SAFE trip. And so happy for you that ALL your gear made it too. I once had a row to myself on an 11-hour flight and I don’t think I stopped grinning ear to ear once on the entire flight. 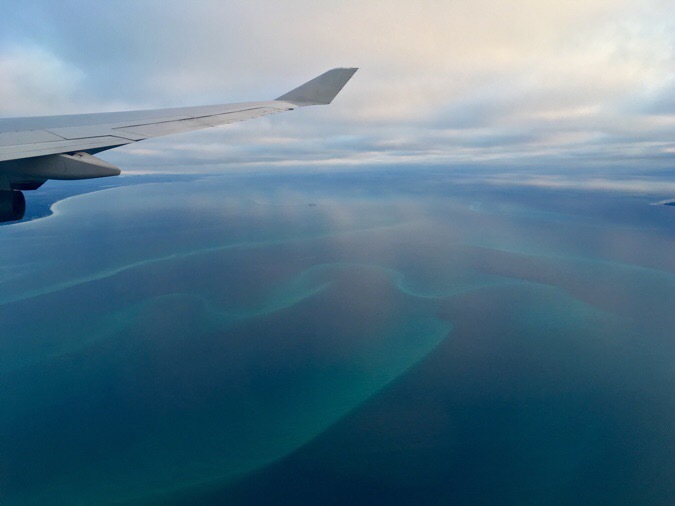 The longest flight I’ve suffered through was the 15-hour flight from New York to Johannesburg. Just … so … long. Although after a certain point they all feel equally brutal, I think. Telus? I think you mean Telstra. 🙂 Have a great time in Australia, I’m sure you will. And by the way, Back Country Cuisine do great freeze-dry meals. Oh you’re right! Telus was what I used in Canada. A little late in replying, but finally fixing that. Also, I do enjoy those Back Country Cuisines! Hi. Great blog. Just thought I would mention that the people who made you feel uncomfortable in Alice Springs are not homeless people. You were in their home. What they have lost is access to their land, ownership, social power and in some cases, hope. The white people who live in Alice Springs and the visitors are all reminders of what has been taken from them. As you correctly identified there is a racial divide in ‘the Alice’ and across most of Australia for that matter, so is it any wonder that the indigenous population ‘stare at you’? I must say that I understand your feeling a little threatened. For different reasons, I felt the same in nearly every major city in the USA. Two countries united by language, war, trade and racism – oh yes, and a love for the great outdoors! Looking forward to reading more of your adventures. Good point. It’s interesting as an outsider to try to understand it all. The way it was explained to me is that those in Alice Springs that are wandering the streets are the ones that are “displaced” and that they have been shunned from their homes for alcoholism which has taken over their lives. Thanks for replying. I admire your openness. It is true that alcoholism is rife in the indigenous communities but they have not been shunned by their own people. 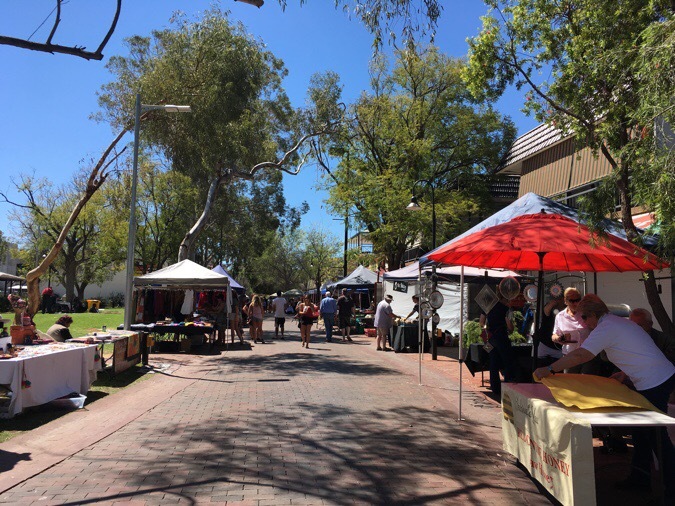 None of the clans/tribes that live in the Alice have any land rights or ownership despite having lived in the region, without houses or streets or shops for more than 30,000 years (that is why the streets of Alice Springs and the bed of the Todd River is their home). It is my experience that they are all loved members of their community in spite of their alcoholism and violence problems. Their families feel sorry for them. It’s just that there is nothing that they can do to help because the NT and Aust governments refuse to address the underlying causes. It all seems so hopeless. I am sure you will enjoy Western Australia and the B track. Hope the weather is kind.